We are partnering with Goldfish Swim School to share important water safety tips and give away swim lessons all year long. Water Safety Wednesday will take place on the first Wednesday of each month, and will feature a Goldfish prize giveaway. In addition to weekly lessons, Goldfish Jump Start Clinics run from June-August. A Jump Start Clinic is 5 days of lessons per week at the same time with the same instructor. Swimmers can make one month of progress in just one week. 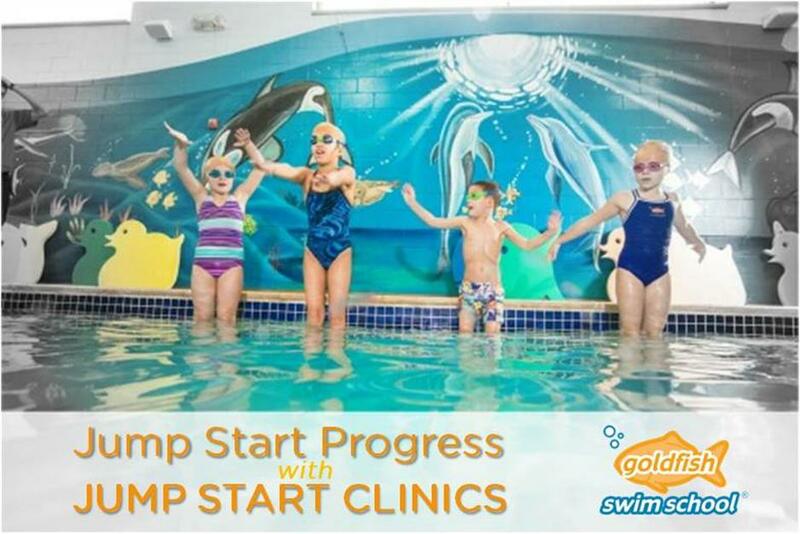 Contact the Goldfish Swim School location closest to you for more information and to register for a summer Jump Start Clinic. Pricing begins at $105 for members and $130 for non-members. There are three ways to earn an entry into this giveaway: complete the form below, comment on the giveaway post on the Northeast Ohio Parent Facebook page, and share the Facebook post. The contest ends at 11:59 p.m. on Thursday, April 4. We will announce a randomly selected winner on our Facebook page on Friday, April 5. By entering your email address above, you are opting in to receive e-mail communications from Northeast Ohio Parent and Goldfish Swim School. You may unsubscribe at any time.